Those dreaded dark under-eye circles happen to the best of us – even when we finally attain the mythical 8 hours of sleep. It turns out, the dark colouration under your eyes is not specifically caused by a lack of sleep, in fact, a whole host of factors contribute to panda eyes. Causes include genetics, age, sun damage, seasonal allergies or a result of constricted blood vessels, which cause a reddish-purple hue to develop under your eyes. And while we may not be able to prevent dark under-eye circles, we can minimise them. * Invest in a great eye cream that will assist in eradicating the darkness over time. * Use either an orange colour corrector or a concealer with an orange undertone. This creates warmth and helps to cancel out the darkness. * To lift the colour, use your foundation over that area to match the rest of your face. You may even use a slightly lighter shade if you want to create a highlight. * Lightly dust some powder over that area to set the concealer and foundation ,and you’re good to go! David White from L’Oréal emphasised, “Skincare first!”. 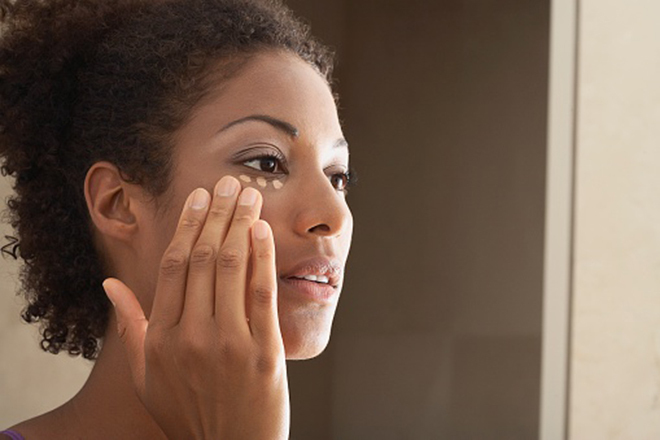 After cleansing and toning, eye cream or serum should be the first product to be applied before make-up. This allows for proper absorbency as well as adequate time for the active ingredients to prep and settle in the delicate eye area. Once your skincare routine is done, the makeup can start. A great eye cream will help revive and plump the skin, thereby making the veins underneath a little less visible. Look for products that work to correct, firm skin and strengthen capillary walls – depending on your needs. * BioNik3 Defence BB cream Anti-Dark Circles Corrective Treatment, R175. * Dermalogica Age Reversal Eye Complex, R990. 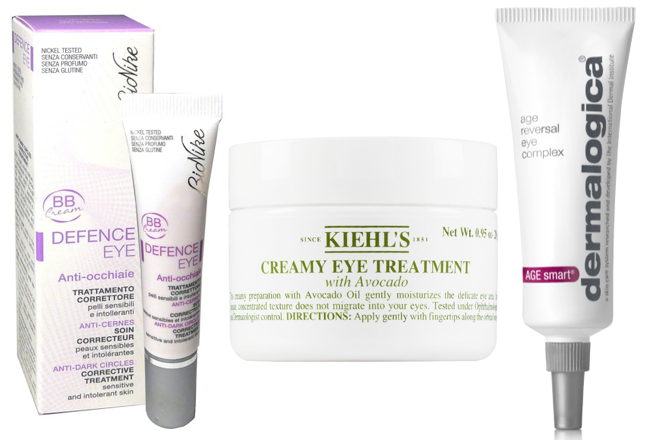 * David recommends Kiehl’s Creamy Eye Treatment with Avocado, R415, is a “fantastic all-rounder”. Colour concealer is the future and when used correctly, based on your skin tone and imperfections you want to cover up, it yields great results. Using the colour theory, we use opposite colours on the colour wheel to effectively cancel each other out. The orange and peach tones neutralise dark spots and bruising, and cancels out blue shadows that under-eye circles reflect. Green neutralises redness and helps to cover spots. If all the colours seem overwhelming, Physicians Formula Super CC Color-Correction and Care, R274,95, is a product that seems to offer it all. It uses the colour theory and works to cancel out spots, darkness, signs of ageing and redness in one product! It also contains added SPF 30. David states, “Apply a tiny amount with a concealer brush on the innermost corner of the eye area, blending outwards. It is very important that the bulk of the product is applied to the darkest areas”. 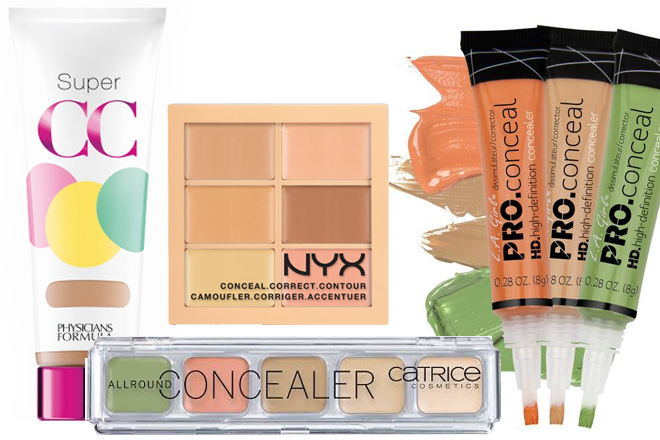 * NYX Professional Makeup Concealer, Correct, Contour Palette, R224,95. * L.A Girl HD PRO.Concealers and Correctors, R59,95. * Catrice AllRound Concealer palette, R74,95. 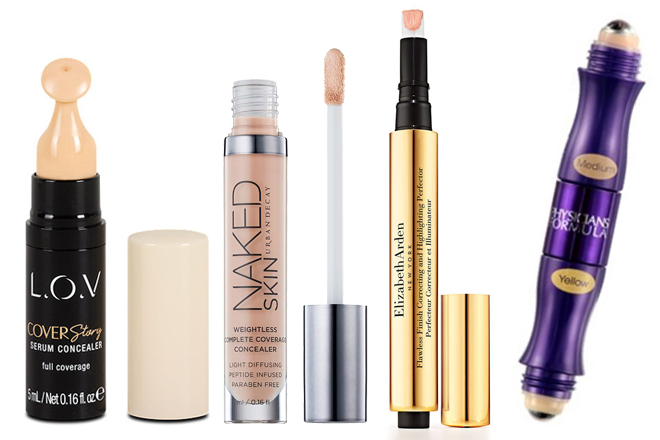 Used correctly, your concealer is your BFF. Concealer has a higher level of pigmentation than your foundation and works to mask those dreaded circles. Most of them offer a supple texture and great coverage. Look for products with a plumping effect that work to minimise the appearance of dark circles and marks to help you do away with panda-esque eyes. * L.O.V: COVERStorySerum Concealer, R229,95. David recommends Urban Decay Naked Skin Weightless Complete Coverage Concealer, R395. It contains a special Light Diffusing complex. Simply draw an inverted triangle with the base drawn under your eye and the point toward your cheek. You may recognise this from contouring techniques, but it’s just a really smart way to conceal marks and remove puffiness while shaping the face. Use a fluffy concealer brush to help you apply just enough product and avoid caking. Tip! Always wear your SPF. The damaging sun rays could be contributing to your panda-esque eyes. It’s also bad for your skin, overall. Tip! Contact your doctor if your allergies are getting out of control and force you to rub your eyes. Your under-eye area is very sensitive and excessive rubbing could cause swelling and constricted blood vessels, A.K.A dark coloration. Tip! Use your ring finger to gently pat it into place (It‘s your weakest finger and applies less pressure). When you’re done applying, blot with a tissue to remove the product from the creases around your eye. Must. Remove. All. Evidence. You woke up like this, remember? wonderful tips.Dark circles really get me down. LA Girl all the way… The products are amazing, I cannot rave enough about them. I can definitely vouch for the LA Girl Pro Concealers. So effective, lightweight, non-greasy and so easy on the pocket. I will most definitely make a decision as to which of the concealers to use. I have asthma and allergies and have very dark patches around my eyes. I love the NYX colour correcting palette! I use the salmon colour under my eyes before concealer and it works like a bomb! Makes you look like you slept 12 hours even when you’ve only managed 2. I finally know what the colour concealer is for! I always wondered about the green, peach and purple shades. Thank you. I do love those CC creams, they work wonders. I need this! I just didn’t know what products to purchase there’s tons in the market its hard to tell which will work, I will give these a try.